We declare fresh faith and fresh vision will arise upon Your people. In the Name of Jesus, we declare that which is of the old will be replaced and renewed by the new things Your Spirit will birth in this season. 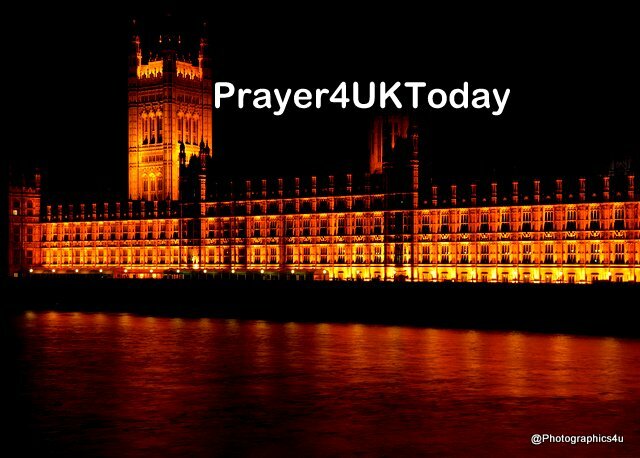 Now in the Name of Jesus, we continue to pray for the Prime Minister, the Cabinet and all those concerned with the final Brexit negotiations who carry heavy responsibility at this time. We declare they will work as a team with unity and cohesion, marked out by a mantle of Godly wisdom, authority and stature, that Your will and Your purpose will be fulfilled in the final Brexit deal. We decree deadlines will be met that Your Voice will be heard above all other voices, favoured and followed and Your Wisdom will be heard in UK and Europe above every other voice, in Jesus Name. Amen. Edith Cavell was a Christian who served as a nurse and matron in enemy-occupied Belgium during the First World War. She was executed in 1915 for enabling around 200 Allied soldiers to escape to neutral territory. The night before her execution she told the chaplain who shared communion with her: ‘Standing as I do in view of God and eternity: I realise that patriotism is not enough. I must have no hatred or bitterness towards anyone.’ Edith understood that Jesus’ greater love commands us to love our enemies as well as our neighbours and friends.